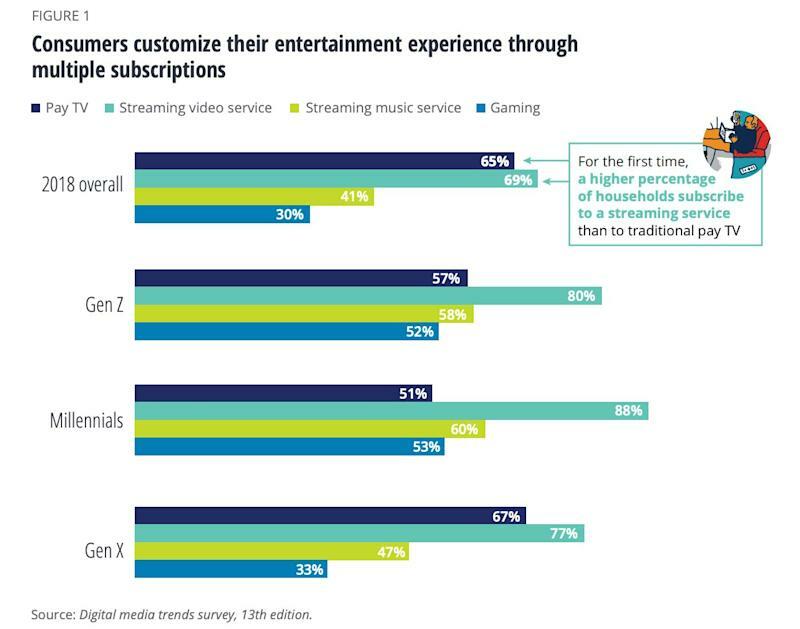 For the first time, more U.S. households subscribe to a streaming service than to traditional pay TV, according to a new report by Deloitte . Of course, too much choice – Hulu, Netflix, YouTube TV, HBO Go, Amazon Prime, PlayStation Vue, SlingTV, and Disney’s soon-to-launch service , to name a few – can be a bad thing. 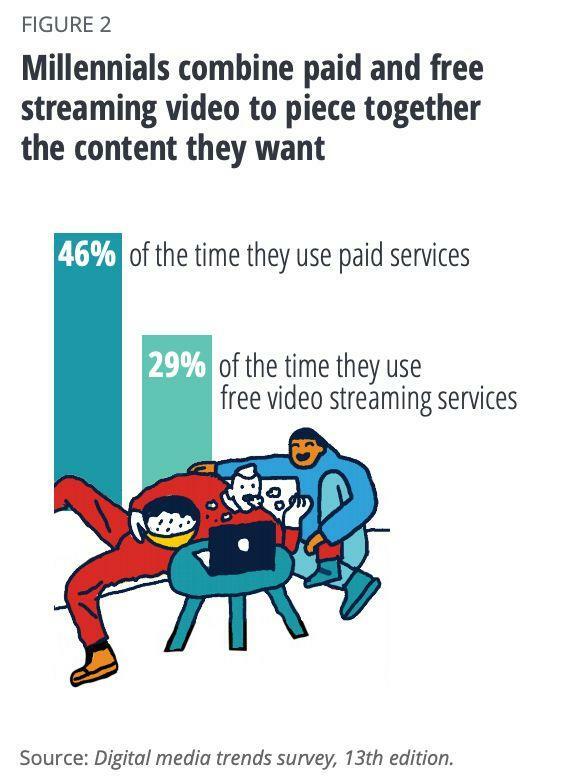 Deloitte found that 47% of consumers are “frustrated by the growing number of subscriptions and services they need to piece together to watch what they want.” Discoverability is an issue as well: nearly half of those surveyed say it’s harder to find the content they want to watch when it is spread across multiple services.